The major disadvantage of open loop inverters for is that they are unable to spin asynchronous motors with speed less that 10% of their nominal speed. A typical fail example are mixers. To reduce cost mixer manufacturer install open loop inverters. 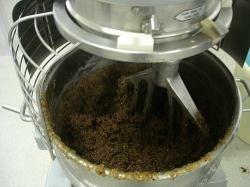 In the beginning of the mix ingredients are like butter are very hard and speed must be minimum. As the mix continuous motor needs to run faster. To achieve low speed with high torque and high speed they choose a low nominal speed motor (in order to have torque at low speed) and then push inverters to 2 or 3 time the nominal frequency in order to go fast (but with no torque). A close loop servo inverter, with a feedback encoder can drive the same cheap motors from 0 rpm to nominal with 100% torque.